One of the first reported astronaut encounters with alien ships occurred during the Apollo 11 mission, according to distinguished author Timothy Good. In his book, “Above Top Secret,” he asserts that both Neil Armstrong and saw UFOs during their historic 1969 Moon landing. 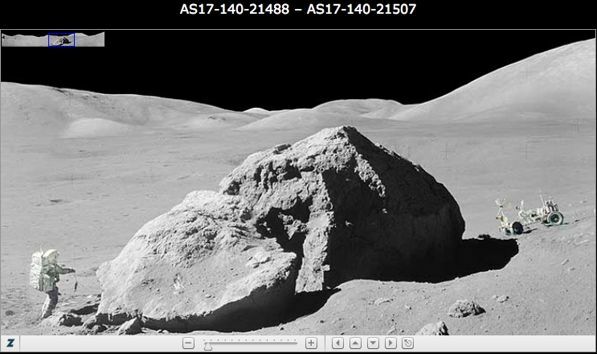 Good states that he recalls hearing one of the two astronauts make a reference to a “light” in or near a crater during the live television transmission. NASA: What’s there? Mission Control calling Apollo 11…Apollo: These “Babies” are huge, Sir! Enormous! OH MY GOD! You wouldn’t believe it! I’m telling you there are other spacecraft out there, lined up on the far side of the crater edge! They’re on the Moon watching us! Soviet scientist, Dr. Aleksandr Kazantsev, stated that Buzz Aldrin took color movie film of the UFOs from inside the module, and continued filming them after he and Armstrong went outside. Dr. Azhazha claims that the UFOs departed minutes after the astronauts set foot on the lunar surface. Chatelain would also confirm that Apollo 11 transmissions were deliberately muted on more than one occasion, therefore keeping the secret information from the public. Chatelain’s claims must be viewed with high credibility considering his professional background. He was an electronics engineer with Convair-his specialty being telecommunications. He was also head of an electromagnetic research group which developed systems for Ryan. He also said: “I think that Walter Schirra aboard Mercury 8 was the first of the astronauts to use the code name ‘Santa Claus’ to indicate the presence of flying saucers next to space capsules. However, his announcements were barely noticed by the general public.” It would later become almost common knowledge that the term “Santa Claus” was a NASA code word for a UFO.